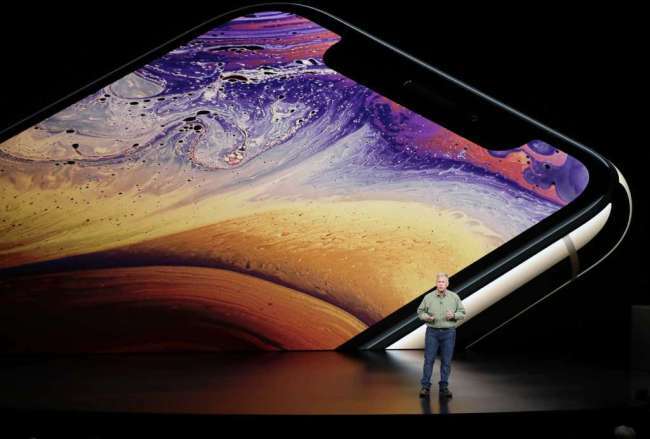 CUPERTINO, California (AFP) -- Apple unveiled three new iPhones on Wednesday in a bid to bolster its spot in the premium smartphone market, along with an upgraded smartwatch that takes electrocardiograms and detects falls. The California tech giant said it would begin selling its 5.8-inch iPhone XS and 6.5-inch iPhone XS Max later this month, keeping the starting price of the company’s top-end model at $999 but bumping the entry price for the version with the larger screen. The phones are updates to last year’s iPhone X (10), which marks the 10th anniversary of the smartphone -- stretching the screen while keeping the overall handset size at or near that of previous models. The analyst expected the lineup to be a hit, pushing up the average selling price of Apple smartphones. While the iPhone has made Apple the world’s most valuable company, worth more than $1 trillion, it has slipped to third place among smartphone makers as Chinese-based Huawei has grabbed the number two spot behind Samsung. Apple said the XS models would be sold from Sept. 21 and the XR from Oct. 26. The watch, sold in the United States from $399 and up, will be available in stores on Sept. 21. “I can see kids buying one for their parents and grandparents,” he said of the smartwatch. Apple‘s event comes with the global smartphone market at near-peak saturation, and without a major catalyst for sales ahead of a likely rollout of 5G, or fifth generation, wireless networks, expected in 2019. Cook said Apple was nearing the 2-billion mark for devices with its mobile operating system known as iOS. “We are about to hit a major milestone. We are about to ship our 2 billionth iOS device,” he said.